SAN FRANCISCO — Growing up Jewish in North Dartmouth, Mass., Amy-Jill Levine loved Christianity. Click the image above or Urim Publications Summer 2011 catalog for the catalog now available in PDF format. In the midst of a shambles. and drenching my light canvas shoes. for performing my elementary needs. Daniel Shoshan, an installation artist and lecturer at the Technion-Israel Institute of Technology, along with Technion graduate Amit Matalon, started this new public library concept figuring that people sometimes have long wait times for buses. Their motto: You may take, you may return, you may add. The haftarah, the bane of every bar mitzvah kid, is making a comeback. Not that it ever disappeared from the synagogue service, in which the weekly Torah portion is always followed by a short relevant passage from the books of the prophets (the word “haftarah” signifies conclusion in Hebrew). It is just that the average synagogue-goer does not pay much attention to this reading. 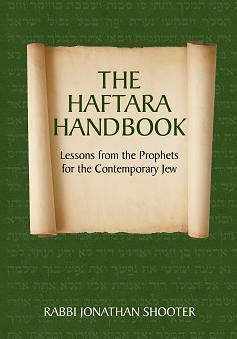 Some new books of commentary on the weekly haftarot (the plural of haftarah) are putting the prophets back in the spotlight, however. AUTHOR Martin Stern – a forceful defender of orthodoxy – says he partly owes his writing ability to the Jewish Telegraph. He recently published A Time to Speak – Controversial Essays that Can Change Your Life. Mr Stern revealed that he was provoked in 1985 into becoming a frequent Jewish Telegraph correspondent by a JT column by the late Rabbi E S Rabinowitz. According to Mr Stern, it “gave an altogether far too lenient ruling on family planning, at least in the context of a paper aiming at the not particularly observant public”. Many scholars take the position that no book of the Hebrew Bible, with the possible exception of the late second century BCE Daniel 12:2-3, speaks about life after death, and are convinced that the various ideas about the after-life were taken from pagan notions. Daniel states that “those who sleep in the dust will awake.” This may refer to the people as a whole who will be able to defeat their Syrian Greek oppressors and be a free nation again. Be this as it may, the second century BCE was the first time that this concept entered Judaism as a view of the Pharisees, and it was strongly objected to by the more conservative Sadducees. Dr. Bronner, a professor at several prominent universities, takes an opposite view. She sees frequent references to an afterlife in the early biblical books, including the Five Books of Moses, and she details, with full quotes, what these sources say. She describes the growth of these beliefs in post-biblical discussions about life after death, the world to come, heaven, hell, judgment, resurrection, and reincarnation. She introduces readers to books such as the apocrypha and the pseudepigrapha. She discusses the views of rabbis, philosophers, and mystics. You are currently browsing the Jewish Book Review blog archives for December, 2011.